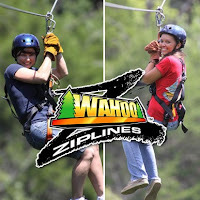 Appalachia & Beyond: Great Deal on Wahoo Ziplines! 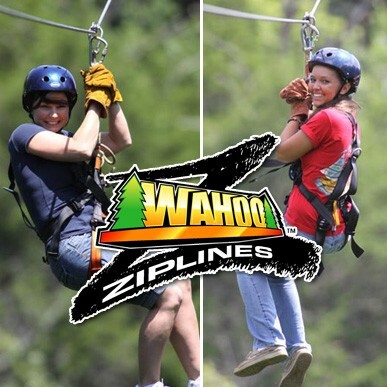 If you're in the area and you're looking for adventure, you may want to try one of the Smoky's newest tourist-traps family activities: zipline canopy tours. There are plenty to choose from, and we have yet to fall for the trap try one out, but it looks like it would be a lot of fun. great things to say about them. Right now, Half Off Depot Knoxville has a great deal on tickets for this establishment. For $32.00 (per person) you'll receive a six line tour. The regular ticket price is $89.00! (Tax is not included - you'll have to pay that, too - and don't forget to read the fine print and make reservations).